Did you know that your kidneys are bean-shaped organs about the size of your fist? They are just below the rib cage, near the center of your back. Every day, your hardworking kidneys process 200 quarts of blood, sifting out about 2 quarts of toxins and extra water during urination. Each kidney acts as a sophisticated trash collector. They are made up of roughly a million filtering units called nephrons, each filtering a small amount of blood. 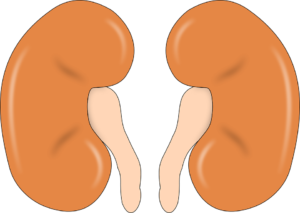 When your bean-shaped organs lose the ability to filter waste from your blood sufficiently, you will experience a decline in kidney health, which results in kidney failure. When toxins overload your body, it overwhelms the kidney and prevents them from doing their job. But what are the causes of the life-threatening kidney failure? If you struggle to urinate in spite of your efforts to drink an adequate amount of water, or when you hold your pee in — toxins build up and overload the kidneys. Also, cancers of the prostate, colon, cervical, and bladder can block the urine passageways. In addition, an overload of toxins from heavy metals, anti-inflammatory medication, chemotherapy drugs, and the excessive consumption of drugs and alcoholic beverages may prompt the kidney to deteriorate. Certain diseases can also lead to kidney failure, which includes vasculitis, lupus, glomerulonephritis, hemolytic uremic syndrome, multiple myeloma, scleroderma, thrombotic thrombocytopenic purpura, and uncontrolled diabetes. This type of kidney failure occurs when there is a sudden reduction in blood flow to your kidney (renal hypoperfusion). In prerenal acute kidney injury, there is nothing particularly wrong with the organs. It is the most common type of acute kidney failure that is often a complication of almost any disease, condition, or medicine that causes a decrease in the usual amount of blood and fluid in the body. Depending on the cause, the condition is likely to reverse itself within a couple of days. If not, prerenal acute kidney failure can cause tissue death and lead to intrinsic acute kidney failure. Intrinsic or intrarenal acute kidney failure (previously called acute renal failure), occurs when direct damage to the kidneys causes a sudden loss of kidney function. The most common causes include acute tubular necrosis (ATN), acute glomerulonephritis (AGN), and acute interstitial nephritis (AIN). Chronic renal kidney failure is the progressive loss of kidney function. It occurs when your kidneys attempt to compensate for renal damage through hyperfiltration within the remaining functional nephrons. Over time, hyperfiltration can cause further loss of kidney function. Chronic loss of function causes generalized shrinking in size (wasting) and progressive scarring of the kidneys. In time, the scarring obscures the site of the initial damage. Chronic renal kidney failure is very alarming because most patients only begin to experience symptoms of kidney failure when the loss of function is at 70 percent. This type of kidney failure happens when there is long-term damage to the kidneys due to intrinsic kidney disease, which is caused by direct trauma to the kidneys such as lack of oxygen or severe bleeding. Dialysis is a standard and well-known treatment option that can extend the life of a patient with kidney failure. The process involves a machine that performs the function of the kidneys by filtering and purifying the blood. Depending on the type of dialysis, you may be connected to a large device or a portable catheter bag. You may also need to follow a strict low-potassium, low-salt diet. Dialysis is a routine treatment and does not necessarily cure kidney failure. Unless you are one of the lucky few with a willing and compatible kidney donor, it may take some time to receive a donor’s kidney. One of the most significant advantages of a kidney transplant is that the new kidney can work perfectly, meaning dialysis will no longer be required. The disadvantage is that you will be taking immunosuppressive drugs after the surgery, which has side effects inclusive of an increased risk of infection, nausea, vomiting, loss of appetite, increased hair growth, and hand trembling. On the bright side, these side effects typically subside as the body adjusts to the drugs. More serious side effects include a feeling of being unusually tired or weak, a fever above 100 degrees, chills, a burning sensation when you pass your urine, and a cold or a cough that will not go away. Also, transplant surgery is not always successful. Are you experiencing symptoms of kidney failure? Usually, someone with kidney failure will experience a few symptoms, though there are also instances when none are present. If you encounter any of the possible symptoms or feel as if something is amiss, seek immediate medical assistance. Are you at risk of kidney cancer? If you experience any of these warning signs, do not hesitate to contact New Hope Medical Center for comprehensive cancer treatment recommendations. Call us today at 480-666-1403.